On May 9, 2015, His Holiness Patriarch Kirill of Moscow and All Russia met with Macedonia’s President George Ivanov, who had come to Moscow for the celebrations marking the 70th anniversary of Victory. Participating in the meeting was Metropolitan Hilarion of Volokolamsk, head of the Moscow Patriarchate’s department for external church relations. The Primate of the Russian Orthodox Church and the President of Macedonia exchanged their opinions about the ages-old religious and cultural relations between the Orthodox people of Macedonia and the peoples under the spiritual care of the Russian Orthodox Church. They also discussed their common history going back to the ministry of Ss Cyril and Methodius Equal-to-the-Apostles. They also dealt with the situation of Orthodoxy in the Republic of Macedonia today. Noting that the old Archdiocese of Ohrid had played a very important part in the development of European Christian civilization, Patriarch Kirill stressed the need for efforts to regulate the canonical status of Orthodoxy in Macedonia, saying, ‘It is necessary to gradually move towards the solution of this problem and to solve it peacefully, without conflict, on the canonical basis’. 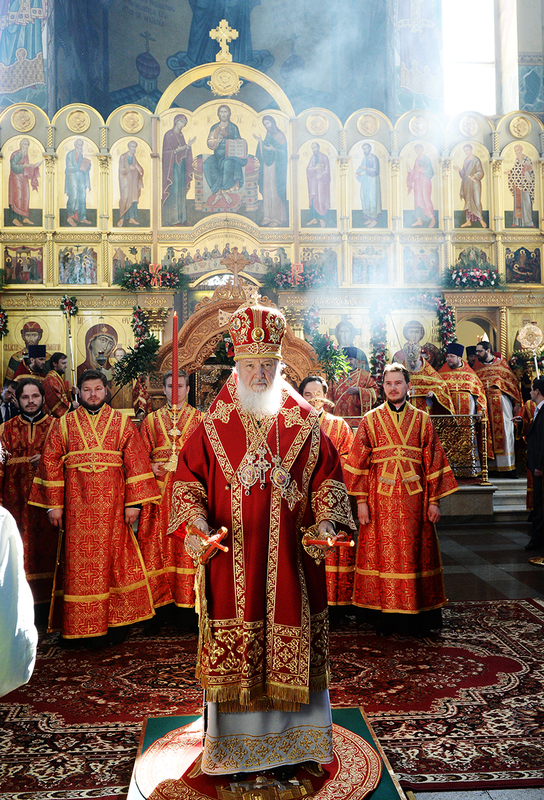 This entry was posted in Featured News, News and tagged Communication Service, DECR, MOSCOW, Orthodox Church, Patriarch Kirill by Orthodoxy Cognate PAGE. Bookmark the permalink.